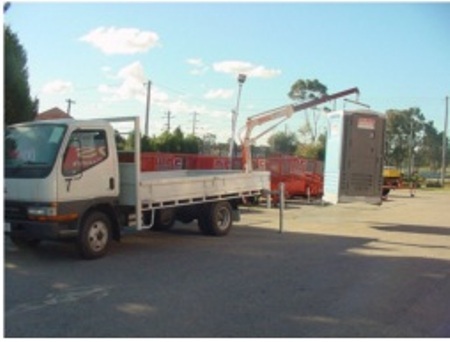 Les Brazier Special Vehicles are the state agents for Australian made Kevrek Cranes. Kevrek Cranes can be mounted to steel, wood or aluminium trays, fixed or tipping. These are over centre type load holding valves which will automatically relieve the pressure in the cylinder at a controlled rate if the pressure exceeds the limit, automatically sequence cylinders if there are dual cylinders and also lock the load if there is a loss of pressure on either side of the cylinder. These valves are standard on lift and extension cylinders. These precision control valves, designed and produced by Kevrek, are among the most sensitive control valves available to the hydraulics industry in the world today. The key to precision control valves is the level of sensitivity the operator gets when operation the crane. This crane can be slowed down to less than 10cm/second at the 4.0m boom tip, during slew, lift or extension, ensuring better and safer placement of the load. Because Kevrek uses pressed hexagonal profile for the boom sections, we can offer a 3.0 meter hydraulic extension on the 1000-S, with an additional pinned boom available to reach to 4.0 metres. Even at 4.0m the Kevrek will still lift over 300kg. The reach is also superior upwards, offering a 6.8m hook height from ground, for mounting on a standard tray. Kevrek uses lighter alloy steel which increases strength and reach in the crane's performance. Using lighter alloy steel provides a 30% weight saving, providing an increase in the vehicle's available payload. Kevrek Cranes are finished with a Class 1 Sandblast and Double Powder coat specifically for marine and military requirements.